It’s Maryland Sheep and Wool Festival weekend. So what does that usually mean for me? 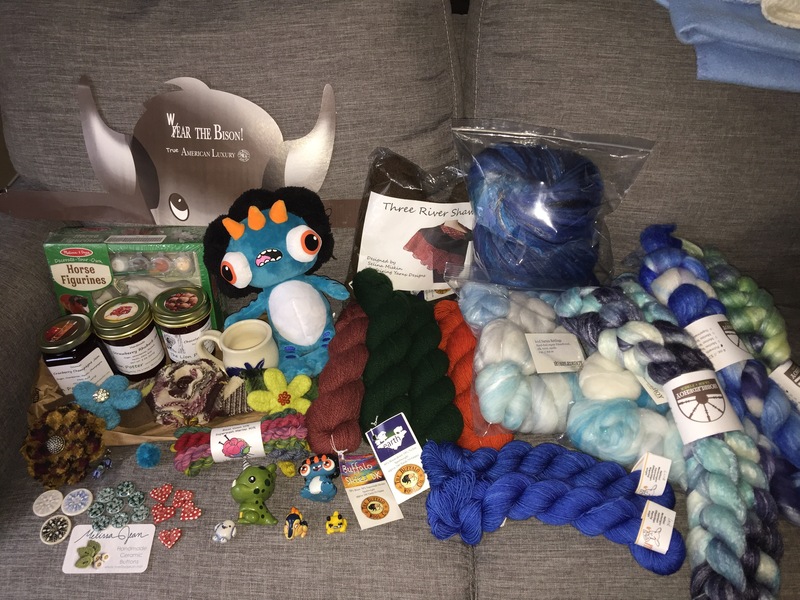 An excessive amount of yarn and fiber purchasing. Though it’s true that I seriously limit my craft-spending throughout the year, I do tend to go a bit overboard when I’m at festivals and retreats. 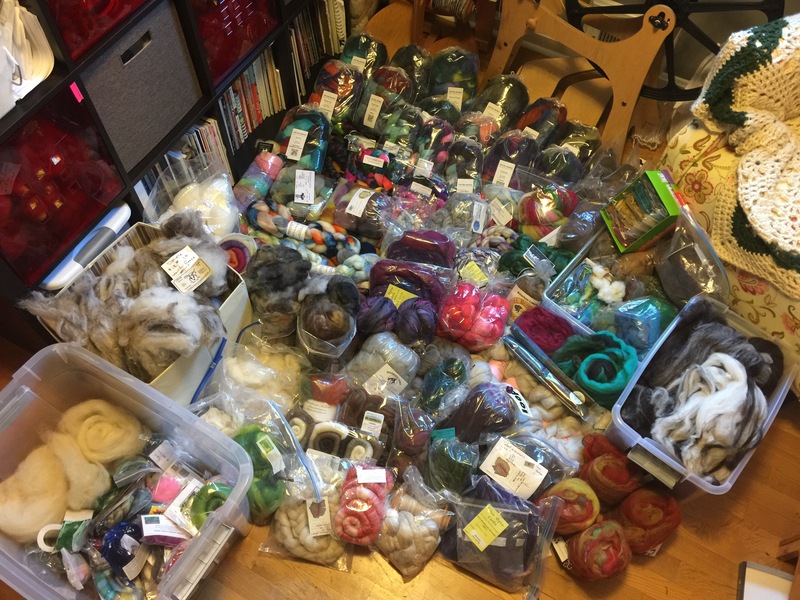 To counterbalance the overwhelming feeling of needing to purchase every beautiful skein of yarn and braid of fiber – I decided that the couple weeks before the festival would be a great time to go through and reorganize my stash. What better way to remind myself that I already have plenty of amazing yarn and fiber? Plus, I had let things get a bit out of hand in the craft room and was no longer certain what had and hadn’t been entered into Ravelry. 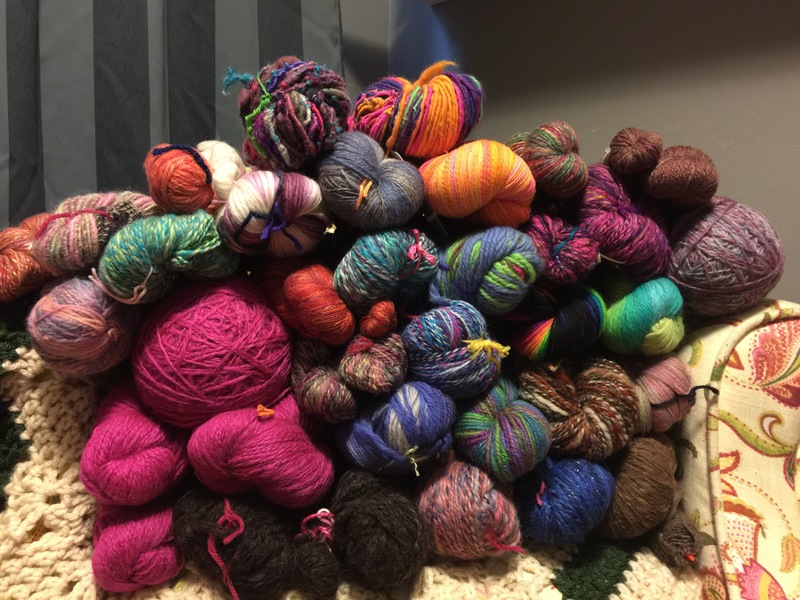 I started with yarn – I pulled out and sorted all of it by weight. My yarn stash had originally been sorted this way, but over time a few added bins had entered into the mix and not necessarily following this guideline. Once everything was sorted and it thoroughly sunk in just how much there is…. I started the fun and exciting job of confirming my stash listed in Ravelry. I’m not going to lie this took forever. 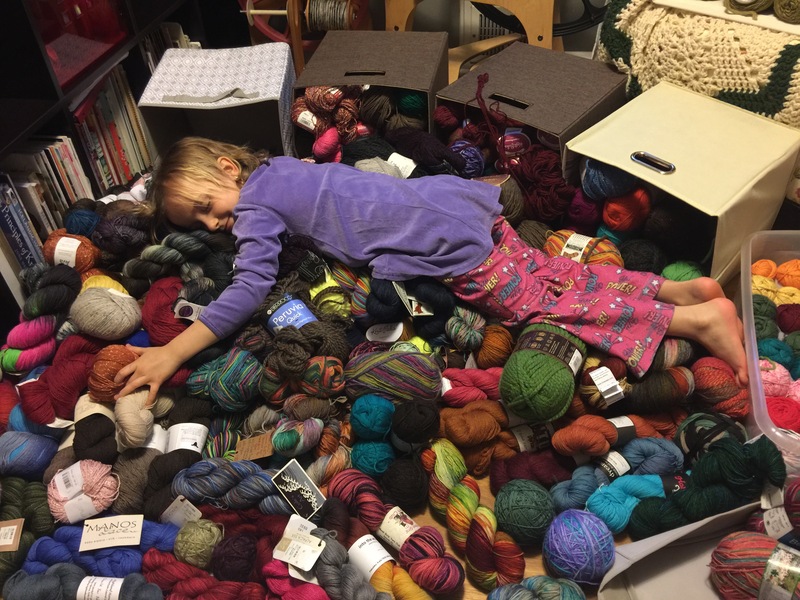 This maybe might be why I didn’t finish this step for my next two sections of stash…. Next up – handspan yarn. I definitely hadn’t realized how much of my handspun I haven’t knit up yet. I usually am immediately inspired once it’s finished to find a project to knit. However, I think once I started spinning and completing handspun projects more quickly, my knitting wasn’t able to keep up! I also didn’t realize how many skeins I hadn’t entered into Ravelry…. not even the fiber prior to spinning. This was a bit discouraging and I found myself placing these mystery skeins to the side as I will have to do some research to determine the fiber content. Finally, I took out and sorted all of my fiber. This included two Jacob fleeces (one of them I promise I have started spinning!) as well as samples I received in fiber boxes and my batt carding stash. This is where I definitely still have an entire bin to catalog, but at least it has been isolated so that I don’t end up spinning it assuming it’s in Ravelry and somehow losing all the information in the process! So now the question is – how good was I at Maryland Sheep and Wool Festival earlier today? 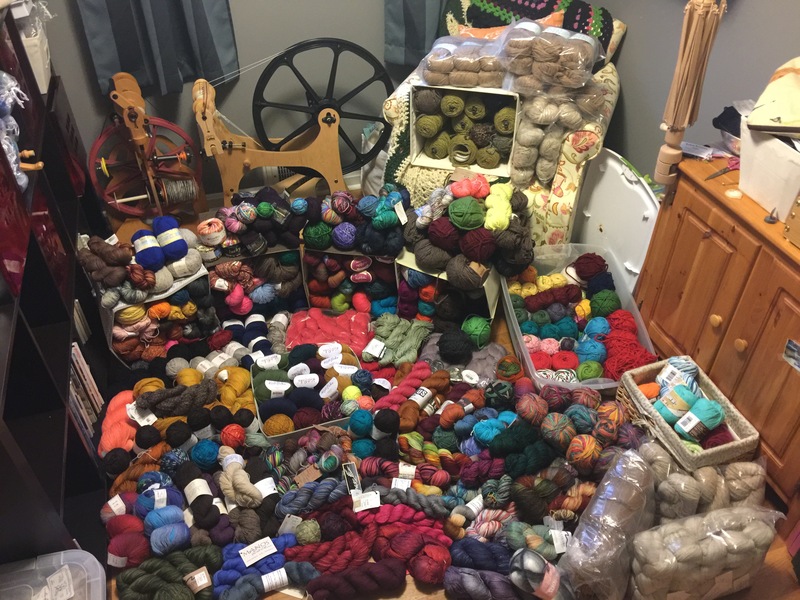 You’d think that after seeing all of my stash spread out in all it’s glory across my craft room floor I would definitely have kept myself in check? Right?! This entry was posted on May 6, 2017, 9:32 PM and is filed under Knitting Goals. You can follow any responses to this entry through RSS 2.0. You can leave a response, or trackback from your own site.